Cloudy Daze – The third music project for a young Zach Huskey following The Sciotics, a ska band with Throw Rag’s Sean Wheeler and Blue Sunday. 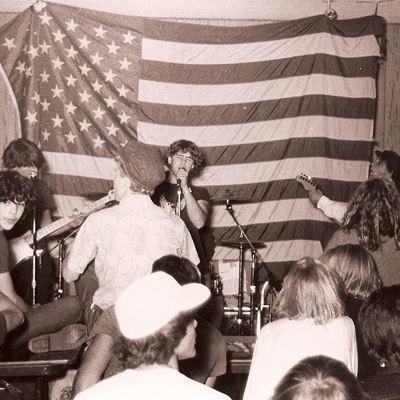 CD was a psychedelic garage band with Huskey on guitar, Tony Brown on drums, Mike Jacobson on Bass (later replaced by Dan LApham) and Laurel Sterns on vocals. The band’s hey­day was 1984­85 before Zach left the desert for music school. When he returned he went on to found several historical desert bands including his ongoing desert doom project, Dali’s Llama with his wife Erika on bass. Zach is one of the longest standing desert rock musicians in the desert’s tightly knit community respected and loved by many.